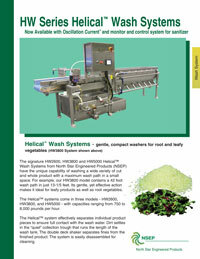 Now available with oscillation current, and monitor and control system for sanitizer. 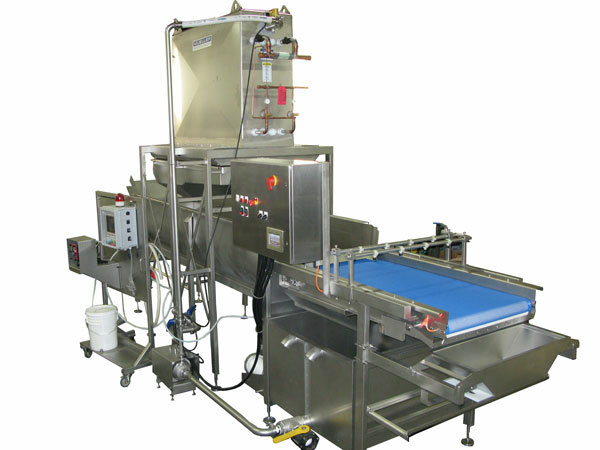 The signature HW2600, HW3800 and HW5000 Helical™ Wash Systems from North Star Engineered Products (NSEP) have the unique capability of washing a wide variety of cut and whole product with a maximum wash path in a small space. 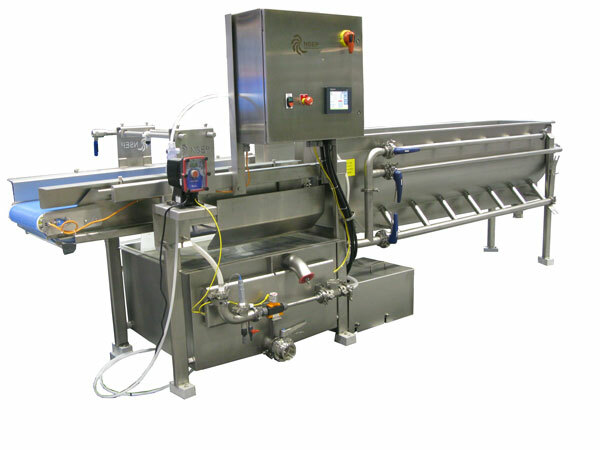 For example, our HW3800 model contains a 42 foot wash path in just 13-1/5 feet. Its gentle, yet effective action makes it ideal for leafy products as well as root vegetables. The Helical™ systems come in three models - HW2600, HW3800, and HW5000 - with capacities ranging from 750 to 8,000 pounds per hour. 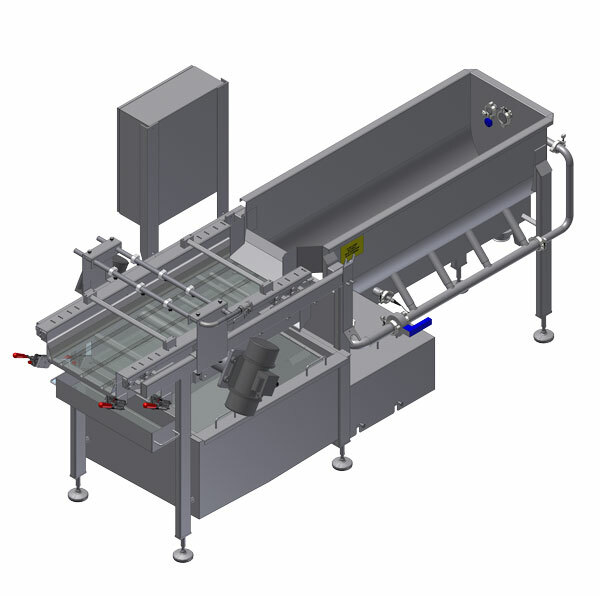 The Helical™ system effectively separates individual product pieces to ensure full contact with the wash water. Dirt settles in the "quiet" collection trough that runs the length of the wash tank. The double deck shaker separates fines from the finished product. The system is easily disassembled for cleaning. Fill Capacity 135 gal. 225 gal. 400 gal.